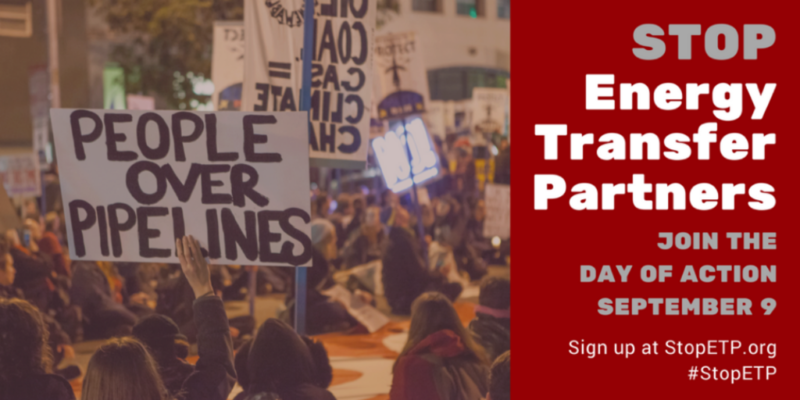 You probably remember Energy Transfer Partners (ETP) as the company behind the Dakota Access Pipeline. But DAPL isn’t the end of their mischief. Wherever they build, ETP violates indigenous sovereignty and human rights, steals land, poisons air and water, and trashes the climate. 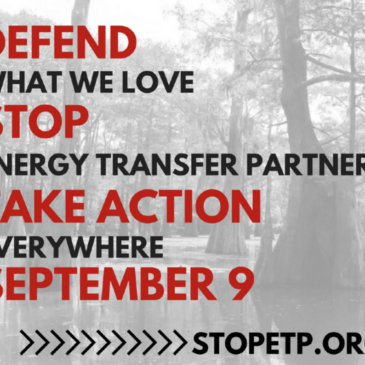 That’s why we’re teaming up with a big coalition of frontline communities and allies to take action across the country on September 8th & 9th, 2017 to #StopETP. By taking coordinated action targeting ETP, we will launch a big movement that can disrupt their business until the company withdraws their unnecessary and damaging pipeline projects, stops violating human rights, and stops polluting the air, water, and climate. Can you sign up to host or attend a #StopETP rally near you? U.S. Army Corps of Engineers offices. Some people are planning a small rally or film screening, others a planning more elaborate actions, marches, etc. You can sign up to attend an event near you, or plan something with a few friends this weekend. If you need some help, check out the great organizing toolkit here, or visit StopETP.org to learn more. The important thing is that by taking collective action against Energy Transfer Partners, we make it clear we will not accept their reckless attacks on our water, land, sovereignty, climate, and communities.